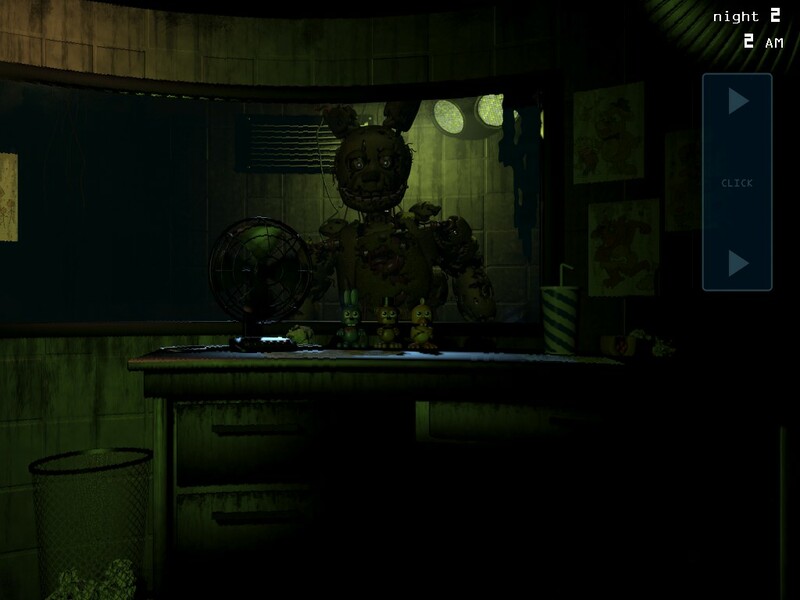 Five Nights at Freddy's fans didn't need to wait very long for the third game. A mere month after announcing Five Nights at Freddy's 3, Scott Cawthon has released the game through Steam. FnaF3 leaves Freddy Fazbear's Pizza behind. The game is set thirty years after the pizza parlor closed and its murderous animatronic robots were scrapped. 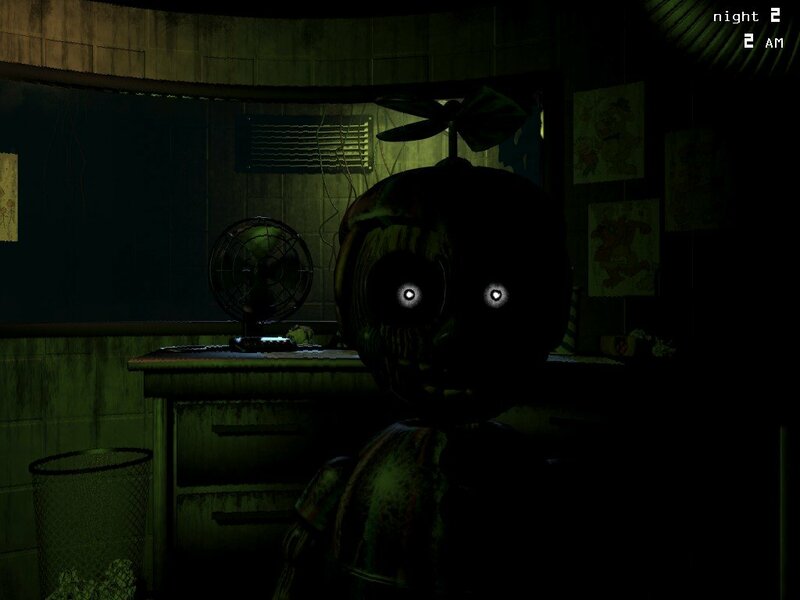 "The events that took place there have become nothing more than a rumor and a childhood memory, but the owners of 'Fazbear's Fright: The Horror Attraction' are determined to revive the legend and make the experience as authentic as possible for patrons, going to great lengths to find anything that might have survived decades of neglect and ruin," reads the official description of the game on Steam. "At first there were only empty shells, a hand, a hook, an old paper-plate doll, but then a remarkable discovery was made..."
"The attraction now has one animatronic." The basic formula hasn't changed, though. You're the poor schmoe who has to keep watch at night and you'll probably get killed by an animatronic robot. You don't have any weapons so your only option is to hide. 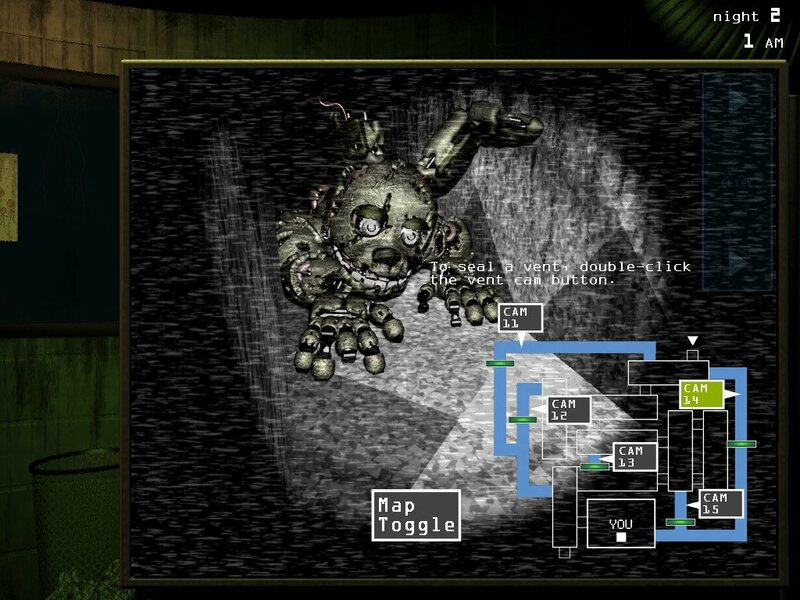 To avoid your likely demise, you need to ward off the animatronic robot by using your security station's cameras, ventilation grates and audio system. Scott Cawthon's been churning these games out at a steady clip. Freddy's 2 was released just four months ago. The original game debuted three months before that. Cawthon threw everyone for a loop last month by announcing Freddy's 3 was cancelled. However, it turned out this was all just an elaborate troll. I'm interested, though, to see whether he'll make a fourth game and maintain this speedy pace. It's tough to question the strategy because there's clearly a devoted audience around the series.